Please fill out the form below in order to apply for a rental air conditioner or furnace and be sure that your request will be processed promptly and you will hear back from us shortly. This Agreement is with Summitt Home Services LP ("Summitt") and not my local utiliy. Unless agreed to in writing by Summitt, no amendments, either written or verbal, to this Rental Agreement Form or Customer Agreement with Terms and Conditions will be accepted. I authorize my utility to provide Summitt my account number, which may be included in the space above. Billing may occur on my Enbridge Gas Distribution bill. Summitt's charges will appear in the Other Companies section of my Enbridge Gas Distribution bill. These offers and claims are made by Summitt alone. Summitt is not owned or affiliated with Enbridge Inc. or Enbridge Gas Distribution. My Consumer's Rights are outlined in Section 10 of the Terms of this Agreement. Customer Acknowledges receipt of a copy of this Agreement. These Terms & Conditions (which together with the Furnace and/or Air Conditioner Rental Agreement Form, to which they are appended, are collectively referred to as the “Agreement(s)”). The Agreement(s) is/are considered the full and complete agreement with the customer (the “Customer” being the name and signatory on the Furnace and/or Air Conditioner Rental Form who is the person entering into the Agreement(s) with Summitt Home Services L.P.). If more than one person is named on the front of the Customer’s utility bill, the Customer understands that each person shall be deemed the “Customer” and each person has the authority to enter into the Agreement(s). Each person shall be individually liable, and all of the Customers are collectively jointly and severally liable, for all obligations, liabilities and indebtedness imposed on Customer by the Agreement(s). The Customer acknowledges that he/she is the account holder, or the spouse of the account holder, over the age of 18 and authorized to make account decisions. The Customer hereby appoints Summitt to be his/her agent and Furnace and/or Air Conditioner service provider for all purposes related to the arrangement of Furnace and/or Air Conditioner billing to the Customer’s service address on the Agreement(s) (“Appointment of Agent”). The Customer’s Utility and all other related third parties are entitled to rely upon all actions taken, or documents signed, by Summitt in connection with or pursuant to this Appointment of Agent as though the Customer had taken such action or signed such document including, without limitation, the negotiation, implementation, operation, performance, amendment and termination of any Furnace and/or Air Conditioner arrangement. This Appointment of Agent replaces any Appointment of Agent Agreement(s) with any existing Furnace and/or Air Conditioner service provider. This Appointment of Agent shall be effective from the date the Customer signs the Agreement(s) and shall continue to be in effect until theAgreement(s) is/are terminated either by the Customer or Summitt in accordance with the procedures for termination set out in these Terms and Conditions. i)	Summitt’s commitment to the Customer is: to provide the Customer a Furnace and/or Air Conditioner, installation of that Furnace and/or Air Conditioner and repairs, maintenance and/or replacement of the Furnace and/or Air Conditioner due to normal wear and tear as determined by Summitt in the exercise of its reasonable business judgement. 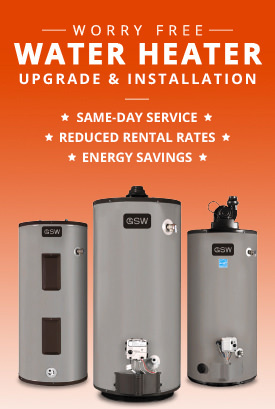 Extra service charges may apply in the following circumstances: if repairs or service work become necessary because the Furnace and/or Air Conditioner is/are at any time connected to other equipment at the service address written on the first page of the Agreement(s) (the “Premises”); if repairs are necessary because of damage caused by the Customer or a third party, or as a result of use for which the Furnace and/or Air Conditioner was not intended; if additional wiring, plumbing, venting or piping is required to meet applicable building codes, regulations or installation requirements. If the Customer cancels an installation appointment within 24 hours of the scheduled appointment date or fails to be present (or authorizes another individual to be present) at the scheduled appointment,a $85 cancellation fee may apply. 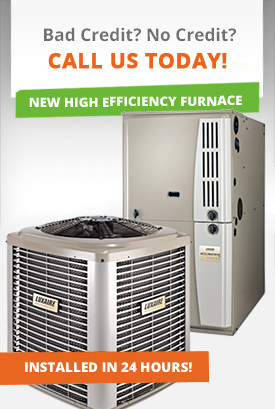 ii)	If at any time Summit t deems that the Customer’s Furnace and/or Air Conditioner is/are in need of replacement, the Customer shall receive a Furnace and/or Air Conditioner of comparable size and type at the then current Summitt rental rate for that Furnace and/or Air Conditioner. For cancellation policies please see Section 4. An emergency telephone number (1.877.282.8265) is available to the Customer 7 days a week, 24 hours a day to handle the dispatching of emergency service requirements. iii) The Customer has the option to terminate theAgreement(s) at any time or to purchase the Furnace and/or Air Conditioner; in either case by paying the applicable purchase or termination amounts (see Section 4). Should the Customer sell his or her home, theAgreement(s) is/are transferable to the purchaser of the Premises. i)	Summitt will honour its Service Commitment and, in return, the Customer agrees that: The Customer represents and warrants that he/she has the authority to enter into theAgreement(s) either as the owner of the Premises, spouse of such owner, or because the Customer has been authorized to enter into theAgreement(s) as such owner’s duly authorized agent. TheAgreement(s) takes effect on the date his/her Furnace and/or Air Conditioner is/are installed, or if the Customer has purchased the Premises after the Furnace and/or Air Conditioner was installed, the Agreement(s) takes effect on the date of that Customer’s purchase of the Premises. ii)	The Customer will pay when due, all taxes and other charges imposed by any governmental authority in effect as of the date of theAgreement(s) or coming into effect after the date thereof on or in connection with theAgreement(s). The Customer may be considered in default under the terms of the Agreement(s) if the Customer fails to make any payment in the full amount and when required to be made under the Agreement(s). iii) The Customer’s total monthly cost to rent the Furnace and/or Air Conditioner is/are made of: 1) the monthly rental cost of the Furnace and/or Air Conditioner as selected on the Rental Agreement Form; 2) Applicable taxes; and 3) Monthly rental rate increases (if any), which are subject to change in June each calendar year, and shall be limited to the posted Consumer Price Index published annually. If the Customer pays the rental charge through Enbridge Gas distribution, the total rental charge will appear in the “Other Companies” section of the Customer’s utility bill and Enbridge Gas Distribution payment terms and billing cycle will apply. These offers and claims are made by Summitt alone. Summitt is not owned by or affiliated with Enbridge Inc. or Enbridge Gas Distribution. If the Customer pays Summitt for the total rental charge, the amount of any charges, interest and other amounts due under the Agreement(s) (each being a preauthorized payment or “PAP”), will be made by pre-authorized payment either through the Customer’s bank account or by credit card, in accordance with the PAD Agreement. Any overdue payment will be charged at a rate equal to 1.5% per month (or 19.6% per annum), compounded monthly. The Customer will be charged $25 for any PAP that cannot be processed for any reason. (See Section 8 for further information) iv) The Customer will not remove the Furnace and/or Air Conditioner from the Premises and will maintain them in a safe, dry, unobstructed and accessible location, free of any flammable, hazardous or combustible materials. Summitt will not be responsible for any damage caused by the Furnace and/or Air Conditioner. 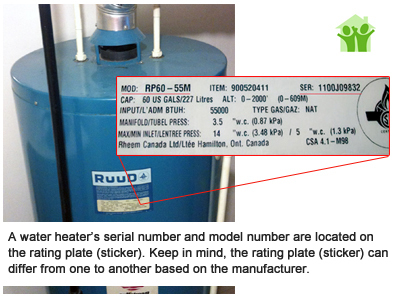 The Customer will ensure that any identification or labelling is not removed from the Furnace and/or Air Conditioner or covered or obstructed in any manner. v) Except as specifically permitted herein, the Customer will not permit or authorize anyone other than Summitt’s authorized representatives to service, repair, move or, disconnect the Furnace and/or Air Conditioner. The Customer will permit Summitt’s authorized agents or employees to have access to the Premises at all reasonable hours for the purposes of installing, servicing or removing the Furnace and/or Air Conditioner. If the Customer sells the Premises, the Customer agrees to a) inform Summitt of the sale and b) inform the purchaser that title to the Furnace and/or Air Conditioner is/are owned by Summitt and that the Furnace and/or Air Conditioner is/are being rented by the Customer from Summitt pursuant to the Agreement(s). The purchaser will assume the Customer’s rights and obligations under theAgreement(s) effective the date of sale. 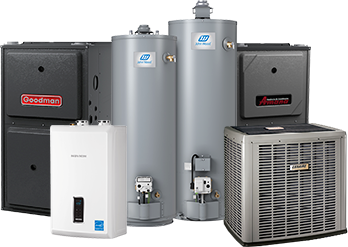 The Customer authorizes Summitt to respond to any information requests relating to their Furnace and/or Air Conditioner account made by or on behalf of the purchaser. vi) The Customer agrees that Summitt is the owner of the Furnace and/or Air Conditioner and that Summitt is not transferring title to the Furnace and/or Air Conditioner to the Customer. Summitt may register its interest in the Furnace and/or Air Conditioner on title to the Premises(see Section 8). To the extent permitted by law, the Customer hereby waives any right to receive a copy of such registration and appoints Summitt as their agent for the purpose of making and affecting any such registrations. The Customer agrees that the Furnace and/or Air Conditioner is/are and will remain the property of Summitt even though it may become affixed to the Premises. The Customer agrees to keep the Furnace and/or Air Conditioner free of all liens, security interests, mortgages and other claims. vii)	The Customer is responsible for maintaining effective operation of piping systems to the Furnace and/or Air Conditioner during installation, servicing and operation of the Furnace and/or Air Conditioner. 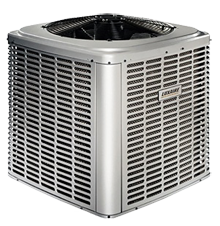 The Customer may terminate the Agreement(s)by purchasing the Furnace and/or Air Conditioner on an “as is, where is basis”, subject to the balance of any transferable manufacturer’s warranty, and assuming full responsibility for the Furnace and/or Air Conditioner repair and maintenance . The Customer may exercise that purchase privilege by providing Summitt with at least thirty (30) days’ prior written notice of their desire to purchase the Furnace and/or Air Conditioner, accompanied by the Customer’s payment of the Buyout and any delinquent payments under or pursuant to the Agreement(s). 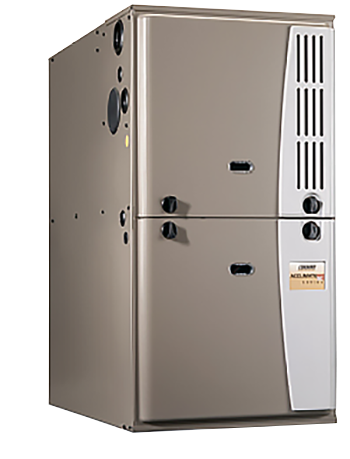 If the Customer chooses to purchase the Furnace and/or Air Conditioner inclusive of installation costs, the buyout calculation (‘Buyout”) shall be an amount equal to the then remaining undepreciated value of the Furnace and/or Air Conditioner, determined by Summitt on a straight-line basis. The Buyout amount shall be as follows: year 1 at $6,500.00, year 2 at $5,850.00, year 3 at $5,200.00, year 4 at $4,550.00, year 5 at $3,900.00, year 6 at $3,250.00, year 7 at $2,600.00, year 8 at $1,950.00, year 9 at $1,300.00 and year 10 at $650.00. All Buyout amounts including any buyout request after year ten(10) shall be subject to a processing fee amount of $100 plus HST. Please note that Buyout of the Customer’s equipment constitutes cancellation of all of Summitt Home Services obligations to service or warranty the Customer’s equipment. Summitt may terminate the Agreement(s) at any time upon thirty (30) days’ prior notice to the Customer, If the Customer fails to meet any of the Customer’s obligations (including payment obligations) set out in this Agreement, the Customer agrees that Summitt may terminate this Agreement and bill the Customer for the applicable Buyout price and on the other terms set out above under Section 4, and the Customer agrees to pay the Buyout price when invoiced by Summitt. The Customer will not have to pay Summitt any rental charges for periods after the Customer has purchased the Furnace and/or Air Conditioner and has paid Summitt all other amounts owing by them under the Agreement(s). i) Summitt is not the manufacturer of the Furnace and/or Air Conditioner and Summitt makes no representations, warranties or conditions as to the performance of the Furnace and/or Air Conditioner, except for those which are deemed to be given by statute and which the Customer cannot at law waive. Summitt will not be liable for any loss, damage, death or injury of any type (including as a result of any electrical or natural gas related events) arising out of or related to theAgreement(s) or caused or contributed to in any way by of the installation, use, maintenance and operation of the Furnace and/or Air Conditioner, or any indirect, incidental, or consequential damages or loss of profits, even if reasonably foreseeable. ii) If Summitt is unable to perform any of Summitt’s obligations under theAgreement(s) because of circumstances or events beyond Summitt’s control, Summitt shall be excused from the performance of such obligations for the duration of such circumstances or events and Summitt shall not be liable to the Customer for such failure to perform. The Customer will indemnify Summitt and hold Summitt harmless from and against any loss or damage by the Furnace and/or Air Conditioner for any reason and all claims, losses and costs that Summitt may suffer or incur or may be required to pay, including legal expenses, in connection with theAgreement(s) and the use and operation of the Furnace and/or Air Conditioner, including any claims against Summitt for any injury or death to individuals or damage to property. The Customer agrees that Summitt may sell, assign, concurrently lease or otherwise dispose of, or grant a security interest in all or part of Summitt’s right, title and interest in the Furnace and/or Air Conditioner or theAgreement(s) to anyone else, without notice to the Customer and without their consent, and upon such assignment, Summitt shall be released of any further obligations hereunder. The Customer acknowledges that if they have more than two (2) months in outstanding rental charge bill payments, Summitt may opt to register a security interest against the Customer’s property and the Customer shall be responsible for the cost of the registration of the security interest plus a processing charge of $25.00. To the extent not prohibited by law, the Customer waives any claims, defenses, set-offs, deductions or counter-claims against any such assignee, transferee or holder of a security interest, which the Customer may now or in the future be entitled to assert against Summitt. TheAgreement(s) is/are binding upon and will enure to the Customer’s respective heirs, executors, personal and legal representatives, successors and permitted assigns. Except as specifically provided for herein, the Customer may not assign theAgreement(s) without Summitt’s express prior written consent. TheAgreement(s) is/are the entire agreement between the Customer and Summitt. The Agreement(s) is/are governed by the laws of the Province of Ontario. Should any of the terms and conditions in the Agreement(s) be held invalid for any reason by a Court or regulatory body of competent jurisdiction, then such terms or conditions shall be deemed severed from the Agreement(s)and the remaining terms and conditions and provisions of the Agreement(s) shall continue in full force and effect. If the Customer has any questions or concerns about the Agreement(s) they may contact Summitt: (i) by phone: 877-282-8265,(ii) fax: 905-366-7019 (iii) by email: [email protected] or (iv) by mail: attention: Customer Service, at 100 Milverton Drive, Suite 608, Mississauga, Ontario, L5R 4H1. We will be contacting you shortly to confirm all the above information and the date and time of the installation. 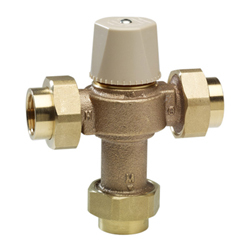 A mixing valve allows water tanks to heat your water to 60°C (bacteria-killing temperature), and then cools water to 49°C, once water exits the tank. This effectively prevents scalding, for reliable, everyday use in your home.